Simply put, Pour Over Coffee is the French-Press equivalent of regular Drip Coffee. 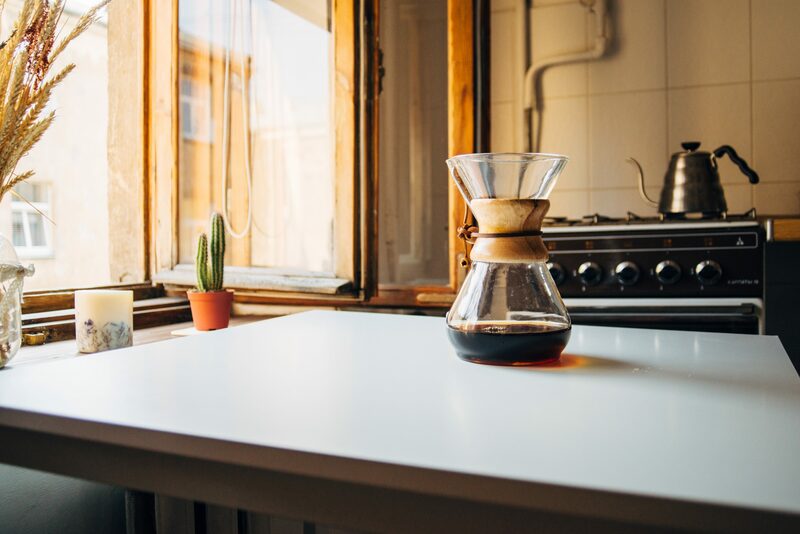 The Pour Over is a favorite style for many Coffee Drinkers for it’s simplicity and timeless design and the Chemex Brand is massively popular among Pour Over drinkers. 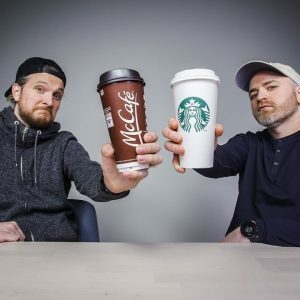 Today we’re going to talk about how to get the Perfect cup of Pour Over Coffee. 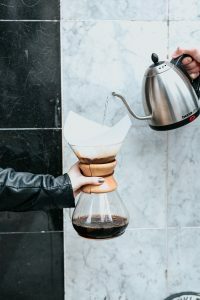 The Pour Over is similar to the French Press in that you pour boiling water over your ground coffee, however it does use a filter to separate and decant the coffee as it’s brewing. It’s closer in mechanics to regular drip coffee, but with the flavor profile and better tasting coffee you would expect from a French Press. Don’t be fooled to the Pour Over’s simple design. 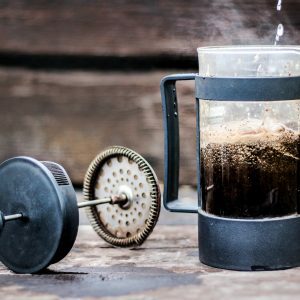 There is a little bit of technique needed to get the most out of your new favorite coffee maker. With a French Press, the coffee and the water soak together for a really simple extraction. Since the Pour Over is constantly draining, you have to pour slowly and evenly over all of the grounds to get an even extraction. If your pot uses paper filters then you can go a little finer on the grind in order to get a little stronger coffee. The finer the grind, the longer the water is going to take to steep through and the more coffee can be extracted. To have the easiest time pouring over your coffee, it’s recommended to get a Goose Neck Kettle (specifically designed for pour over coffee). It’s thin long neck is perfect for getting the even flow needed to get great pour over. Obviously, if you only have a regular kettle you can still make good pour over, you just need to be a little more careful and deliberate with how you pour the water through the grounds. Start in the middle and spiral out in a quick pour, enough to get all the grounds wet, and then wait 30 seconds. This allows the grounds to react to the initial shock and release some CO2. This is called the “Bloom”. After 30 seconds, finish pouring your water till your scale tells you you to stop. Start with a even spiral and then finish it off straight down the middle. The middle of the cone has more coffee to extract so you’ll need to pour more through the middle to keep it even. Give it a few minutes to finish draining and your delicious pour over coffee is all ready! 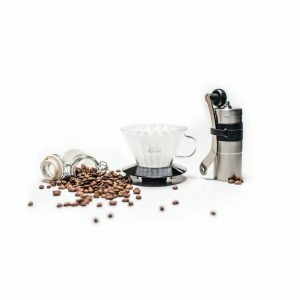 Cleaning a Pour Over coffee maker is really simple. Just rinse it out after each use, and swish around some hot soapy water. Let air dry and you’re all ready for the next pot.